Quick Search is useful for finding any piece of information that you store in your database. You can find the search button on every grid under the Community menu as well as on the Dashboard as an app. 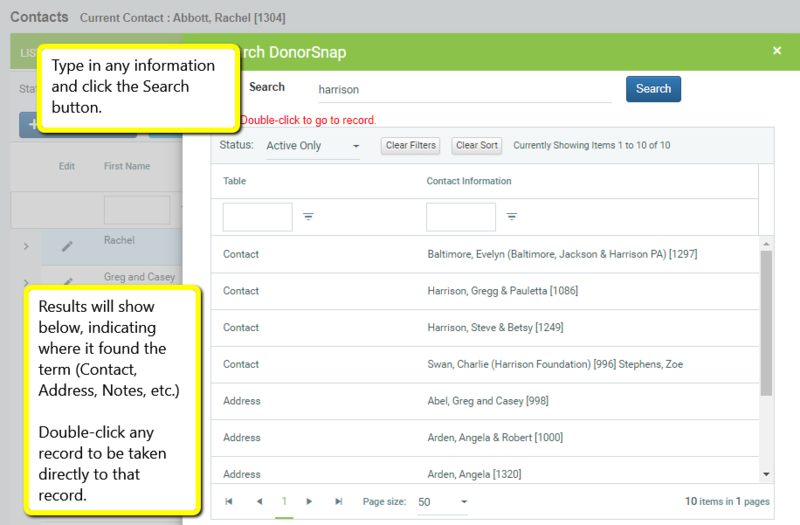 Instead of searching only the Last name field or Company field, the Search button at the top of any of the database tabs. You will receive results for contacts with LastName of Harrison, who live in Harrisonburg City, who have an address on Harrison Street. The Quick Search tool uses a single search box to search across any or every field in your database. It will find any mention of your search string in a contact, address, persona, donation, pledge, tickler, interaction, volunteer, note, affiliated, organization contact, or community members record. Once you click search, you can quickly jump to any record in the search results. Each user can customize their search settings. 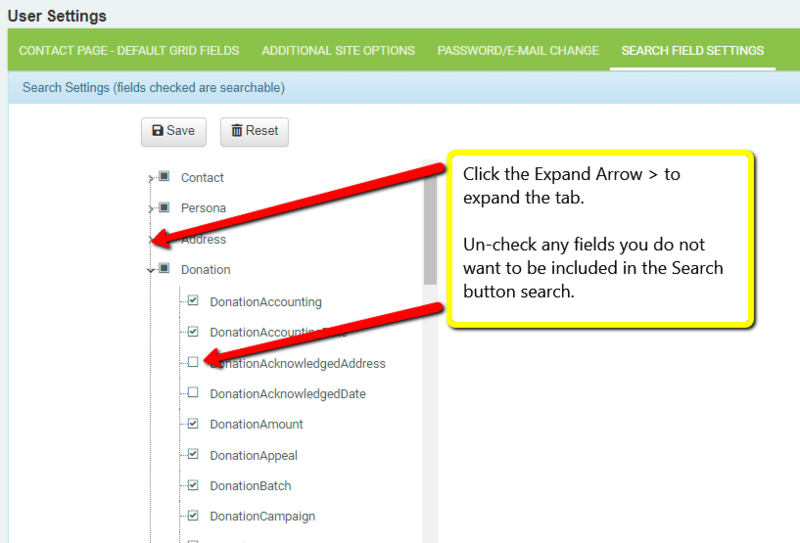 Include or exclude specific fields or tables to find exactly what you are looking for. (Your Username in the Top Right of the program > User Settings).